When we buy products, we expect that they’ll be safe for use, as long as we use them correctly. This is particularly true when we buy items such as car seats for our children. However, a recent recall suggests that the car seat you’ve been using for your young child might not actually be so safe. 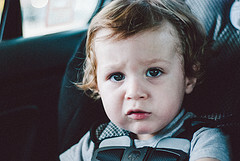 Earlier this month, Graco, a manufacturer of products for infants and children, has issued a voluntary recall of 3.7 million child car seats, according to an article in CNN News. The company has also been asked to recall an additional 1.8 million. What’s the problem with these car seats? According to the article, there’s a “buckling issue.” In short, the buckles often don’t readily open. The “red release button in the center of the harness can become difficult to unlatch,” or it “can become stuck,” according to the NHTSA. And this could pose a serious problem for a parent who needs to take her child out of the car seat quickly in case of a serious emergency, such as an accident or a fire. Graco has contested the NHTSA’s request that it recall 1.8 million more seats, which would include infant seat models. In response, the NHTSA has emphasized that its investigation will remain open until it has thoroughly reviewed the safety issues connected to the remaining 7 seat models. But even at 3.7 million, this recent recall represents the “fourth biggest ever for car seats,” according to the NHTSA. If the remaining 1.8 million are recalled, “it would be the biggest,” the federal agency indicated. What’s Causing the Buckle Problem? According to Graco, “food and dried liquids can make some harness buckles progressively more difficult to open over time or become stuck in the latched position.” Yet the NHTSA doesn’t think this is a sufficient, since it’s an issue that the product makers should have been able to anticipate. What Should I Do if I Have a Recalled Seat? First, it’s important to know which models have been recalled. The toddler car seat models involved in the recall include: the Cozy Cline, Comfort Sport, Classic Ride 50, My Ride 65, My Ride 65 with Safety Surround, My Ride 70, Size4Me 70, My Size 70, Head Wise 70, and Smart Seat. Graco has not yet recalled its potentially affected infant seats, but the NHTSA has intimated that the following models might also be affected by the buckle problem: Snugride, Snugride 30, Snugride 32, Infant Safe Seat-Step 1, Snugride 35, Tuetonia 35, and Snugride Click Connect 40. Graco is offering new harness buckles to customers affected by the toddler seat recall free of charge. If you currently own one of the recalled toddler seats, you can call Graco or visit their website to obtain a replacement. If you’re currently using one of the infant seats that Graco hasn’t yet recalled, you might want to think about an alternative. When a defective product injures your child, you deserve to seek compensation by filing a product liability claim. Child injuries can be especially traumatic, and the experienced San Diego product liability lawyers at the Walton Law Firm can discuss your case with you today.